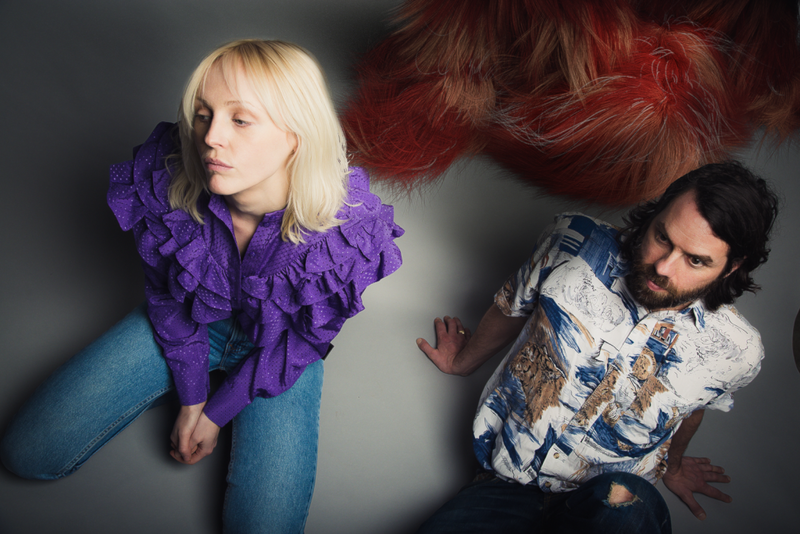 Is LUMP a red and yellow hairy monster, star of the video treatments and Bez or Leroy moves on stage or is it the mind-set of Laura Marling and Mike Lindsay? The physical manifestation of the music. The aesthetic for their meeting of minds that thrusts neither of them into the spotlight. Except that’s not really true, as, with the best will in the world, when Miss Marling steps onstage after every other musician in the live incarnation of LUMP has begun the intro to album opener ‘Late To The Flight’ the crowd displays exactly who they are here for tonight. The opportunity to see one of the countries foremost singer-songwriters in such intimate surroundings and proximity is becoming rarer as the years and albums pass and her star rises. Never entirely comfortable with the adulation, Laura has always looked to the heavens when singing and tonight she adds to the sense of detachment by leaving her long blonde fringe over her eyes and often lowers her head so all you see is hair, almost imitating the LUMP. Occasionally she disappears completely from view below the mass of bodies packed into the Oslo. It might be her intention to be anonymous in this project but there is one problem with that well meaning wish; the voice. Even if the response to the moments when that golden vocal hits it’s glorious heights is more Top of the Pops studio than Royal Albert Hall hushed reverence, it’s the unmistakable timbre and range that cannot be denied. What is different is the partner in this project, Mike Lindsay, whom you get the impression is the main musical maestro behind the LUMP as he dashes from effects pedals to keyboards to guitar frets. It’s a different world from Marling’s usual folk based records, although her most recent L.P, Semper Femina is a nearby moon. There is no welcome, no spoken thanks, not a word is uttered that isn’t sung. It is as if a spell would be broken if they didn’t stay in character. They are under LUMP’s control. The album is played in it’s entirety and in order with elongated beginnings and endings, live they have an additional weight, ‘Rolling Thunder’ and ‘Hand Hold Hero’ possess a bulk that isn’t there on the record, guitars turned up a bit, bass rumbling and drums vibrating. Lead single ‘Curse of the Contemporary’ is the closest to how it sounds on the LP and results in the only appearance of the LUMP dancing next to the curtains leading backstage. Three quarters of an hour passes and they are gone. This may be the only opportunity we will get to see this incarnation of LUMP; they are not piloting this vehicle. You do not choose it, it chooses you. The future is uncertain.